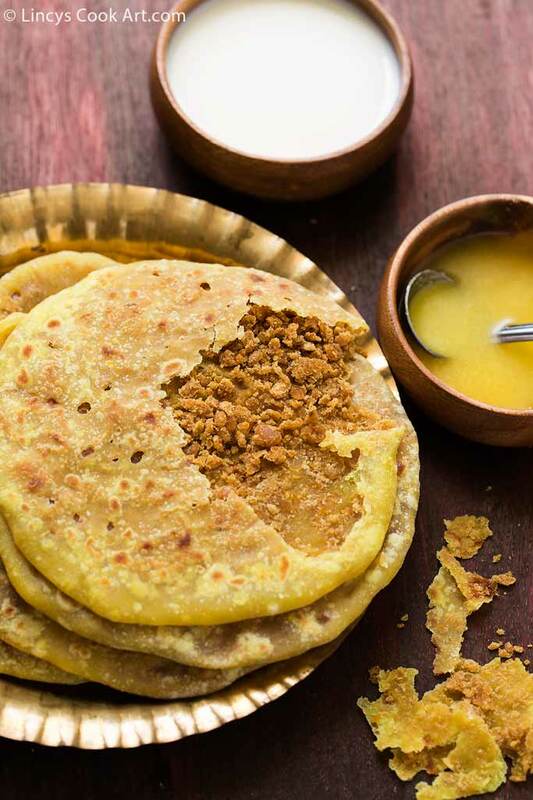 Indian sweet flat bread stuffed with chana dal and jaggery filling flavored with cardamom. It is widely popular in South Indian states such as Tamil Nadu prepared for festivals such as Vinayaka Chaturthi and in Kerala it is served as a part of Sadya along with payasam which is prepared with toor dal and jaggery combination. 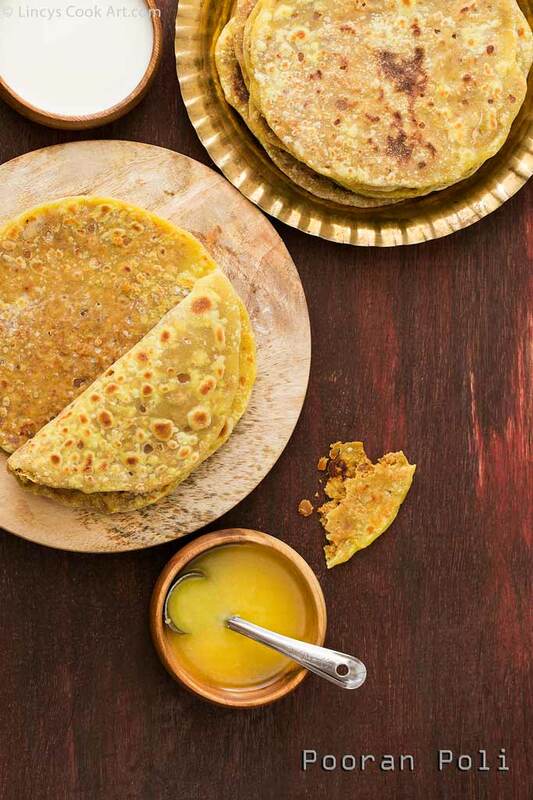 In Karnataka and Andhra Pradesh, this sweet is prepared with the combination of various dals. While in North India the dish is popular in Maharashtra. 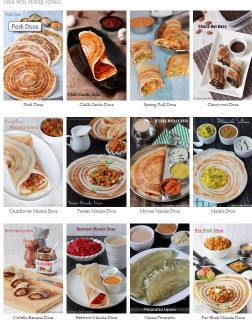 The same flat bread is called in various names in different parts. The method of preparation and the size of the flat bread varies in different parts but the taste remains similar. In a deep bowl add maida, salt, turmeric powder and ghee; mix well with hand. Now add water little by little and knead to make a smooth dough. Dough will be slightly sticky, once it becomes soft, add few drops of oil in hand and spread it over the dough ; shape it and allow to rest, till the filling gets ready by covering it with cling film or plate. Wash and pressure cook the chana dal with 3 cups of water and allow to cook for 4-5 whistles. Now open the lid, if more water is found stagnating drain the water & mash it with spoon. If the dal is not cooked soft you could grind it in a blender and pulse few times. Now in the same pan turn on the heat and add the powdered jaggery with mashed dal and allow to cook. The stuffing process could be done in two ways one is with spreading the balls with fingers by sandwiching the dough inside two greased banana leaves or plastic sheets. The other method is simple and less oil consuming which is I used to do like stuffed parathas. Divide the covering flour mixture into small balls. In a chapati stand dust with the flour and slightly stretch the dough using rolling pin or by hand. Now keep the chana filling inside and cover it by pulling the edges; press well to seal well. 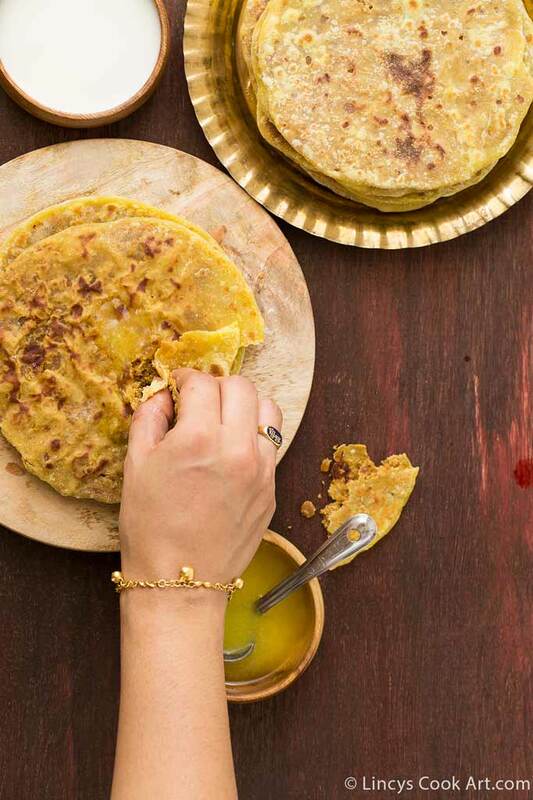 Press with hand to flatten the dough and flour the dough; spread it evenly like a paratha. 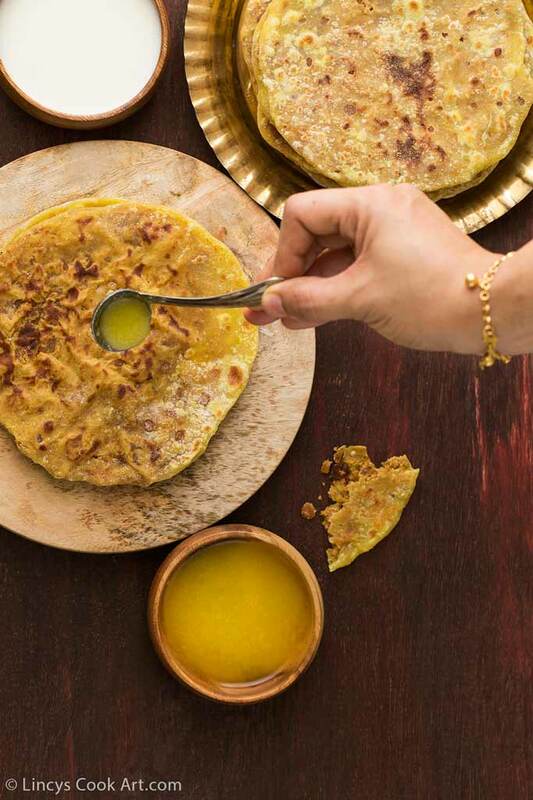 Heat the flat pan and drizzle with half a teaspoon of ghee, transfer the boli and cook one side. Now on top of the boli drizzle half a teaspoon of ghee and flip the boli to cook the other side too till the golden brown spots appears. Adding fennel powder is optional. You could add a pinch of nutmeg too for flavour. You could sandwich the dough inside two greased banana leaves and spread it by fingers too. Looks so yummy. Tempting clicks dear. love your bracelet. Beautiful pics dear and poli looks absolutely delicious!! !